A huge factor in selling story ideas and getting them published is the quality of your idea. While this may seem self-evident, finding an interesting story to pitch is a daunting task for novice freelance writers. It takes some experience to know what constitutes a viable travel story. And deciding whether a story idea is a dog or a shooting star is an important first step in the pitching process. First let’s take a look at things that don’t sell, and why you can’t sell them. A very common misconception happens when you fall in love with a place and think this automatically makes it a marketable story. I get that. I’ve done it too. After my first trip to Paris, I just wanted to write about this magnificent city and tell the world about it. Sadly, everyone else had already written about Paris - for centuries! One writer I know was wanting to pitch a travel story about Universal Studios Adventure Island in Orlando, Florida. If you do an internet search of “travel articles Universal Studios Adventure Island” you will find thousands of articles. It’s been beaten to death in the media. A standard cruise on a popular cruise line, much as we might enjoy it, is not news. There are thousands of cruises every year. Cruising has become commonplace. All of these things suffer from one thing: they are too ordinary - even though they might be new to you. Selling story ideas to an editor means you need to dig deep and look for something unique. I never wrote my roundup story about Paris, but that's okay. When I dug deeper and learned about the underground Catacombs, I found a little-known attraction. I pitched the Underground Catacombs story to a few magazines and sold it twice. I was also smitten with the phenomenal funerary statues and sculptures in Paris’s Pere LaChaise Cemetery. I pitched this idea to an in-flight magazine and bingo, got my first in-flight story published. The reality of travel writing is that a place is not a story until you’ve found what makes it unique and interesting. 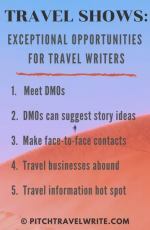 If your travel destination story idea is about something unique, interesting, and different, then you've got a very good chance of selling your story to a magazine or two. If you want to write about your upcoming cruise you’ll need to dream up some exciting angles for your story. What’s so special about your cruise? If you can’t come up with something exotic or unique, you will have great difficulty selling this story. A few months ago I was invited on a press trip to Roanoke, Virginia. The CVB rep asked if I wanted to stay an extra day and ride on a Class J611 Steam Train. 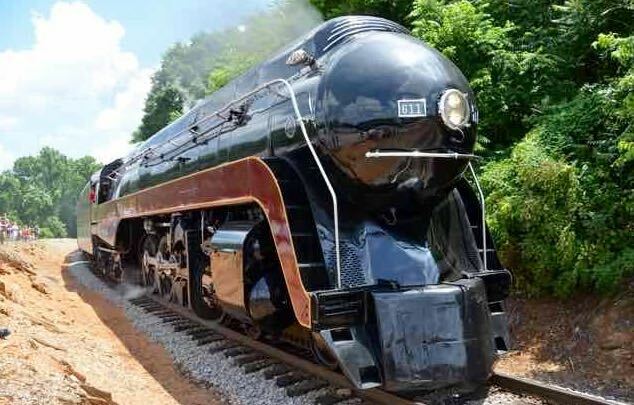 It had been refurbished and was on its way back to the Virginia Museum of Transportation. The CVB rep and museum curator provided me a few solid paragraphs of background about the train, which I used in my query letters to editors. I ended up selling the story idea twice, to magazines for train aficionados in the U.S. and the U.K. In this case “new and exciting” was actually "old and refurbished", but it provided me with an exciting story angle that resulted in two articles. The only way to develop and sell your story ideas is through solid research. It’s through the research process that you’ll uncover juicy facts about your story idea, and see whether it has enough “jam” to actually write an engaging story. I use the Internet, guidebooks and magazines to research my destinations. Destination Media Organizations (DMOs) can also be helpful by letting you know about new and exciting things happening in their regions, as in my Roanoke story above. One criteria I use when assessing whether my story ideas have merit is to use the “Wikipedia test”. I ask myself, "Does my proposed story have new information that Wikipedia does not have?" If the answer is “yes”, then I might have a good story idea. This means my story offers unique insights into an attraction or destination that you can't find on Wikipedia. Always do your research and collect information on what makes your destination interesting and unique. Take a large step beyond general travel when you’re looking for a unique angle. One of the ways I sell story ideas is to find unique angles that focus on a variety of travel genres that interest me. There are a wide variety to choose from. I recommend you write in as many travel genres as possible. 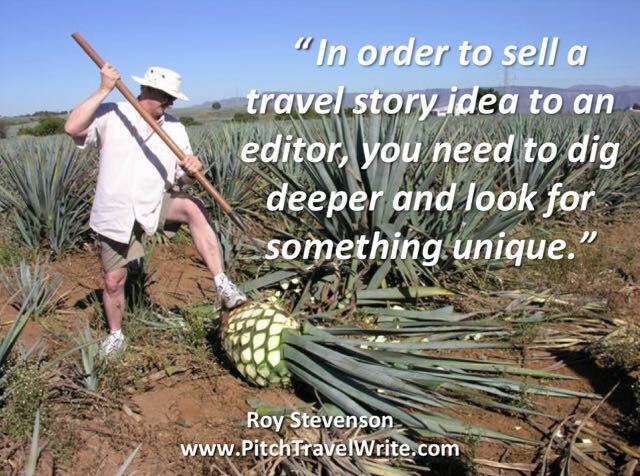 Some common travel story themes also tend to sell well. For example, travel articles that focus on "the five best" things that a place has to offer. Roundup stories can often reap good rewards too. 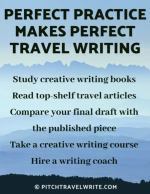 Other travel writing themes include things like luxury travel, adventure travel, wine, beer and food, to name just a few. Many of my freelance writer friends tell me they have difficulty coming up with multiple angles and selling story ideas about one place. Even on press trips, most writers show up with only one assignment. This breaks my heart! So many opportunities to get published are being overlooked. Money is left on the table. Other writers try to fit too many themes into one story. For example, an article about the wine and food in a region appeals to a different market than a story about golfing at the same destination. Pitch different stories to different markets. I recommend you always look for multiple stories when you travel. I wrote a separate article on how do I do it, and how can you do it, too. Many of the best story ideas come from writing about your personal interests and passions. Anything that interests you will result in an article that has more meaning, more emotion and a deeper level of knowledge to share with your readers. It’s also likely to open up more outlets to sell your story. For me, this happens to be anything about military history, especially World War II museums and places. It opens up military magazines as potential outlets for selling my work. I also enjoy writing about beer, classic cars, and exotic destinations. Once again, different markets and a range of new magazine outlets. Your interests will be different than mine, but if you find something that you truly enjoy doing, you will also enjoy writing about it. And additional non-travel related outlets will increase your chances of selling your story. It’s important to be very choosy about your topics. Research them in great depth. If I can’t uncover some fascinating things about the destination or attraction, I sideline my story idea until another time. Sometimes, years later, I encounter an editor or magazine that I think will be receptive to my old “back burner” story ideas. My approach is totally systematic. I dig up information about a place and find some interesting angles and details. Then I look for magazines that might be interested in buying the story. I don’t pitch a story until I have assembled my data. Once I have a story idea, I do my research. Then I create a lengthy distribution list of magazines that I believe will be interested in the story. Finally, I write an enticing query letter and fire it out to everyone on that list. These are all ways I dream up story ideas that sell consistently. They should give you some idea about how I’ve managed to sell 1,000 articles to magazines in 9 years. The beauty of travel writing is that you can write an article about almost all of your travels and find a home for it somewhere. Figure out the right angle and find enough outlets to pitch your story to, and someone will be interested. 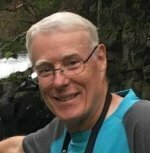 It takes some experience to become savvy at recognizing and mining gold nugget ideas, but after a while it becomes easy to know what will sell and what won’t.